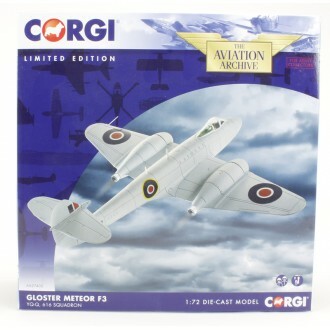 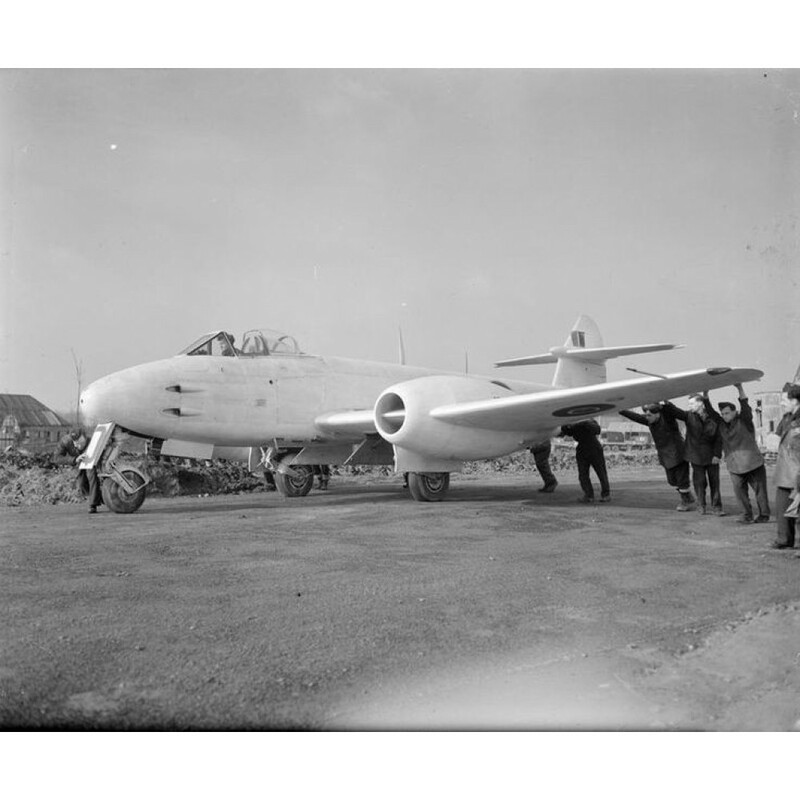 The Gloster Meteor was the RAF’s earliest jet fighter. 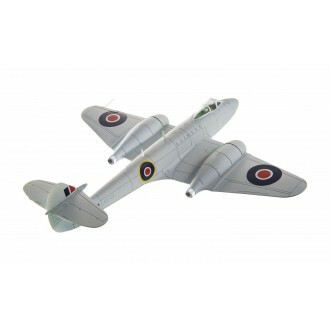 It entered service with No.616 Squadron in July 1944. 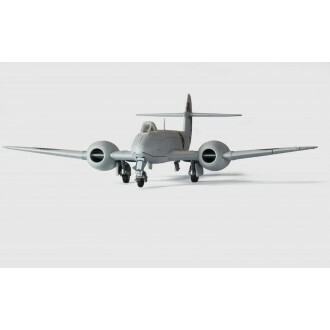 Jet aircraft at this time were considered extremely top secret and therefore the Meteor was limited in its combat use. 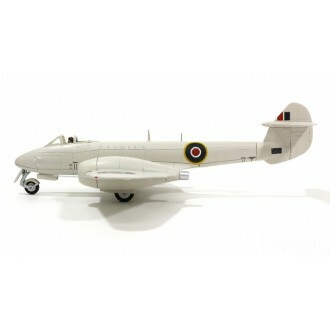 Often painted white to aid identification by other Allied planes and avoid being mistaken for German planes, the F3 was despatched in 1945 along with 616 Squadron to 2nd TAF to provide air defence against the Messerschmitt Me 262. 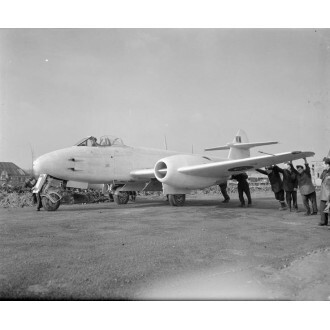 The Squadron was operational in the Netherlands supporting the Canadian Army in its efforts to clear the Germans out of Holland, engaging in ground attacks due to not encountering a single enemy aircraft on its sorties. This model has a wingspan of 17.5cm and is 16cm long.